Are you still looking for a few presents to get your beauty loving friends? While I already shared my holiday beauty gift guide, I thought I would also share a few of my personal top gifts sets for Sephora! These aren’t necessarily something I have tried but the ones that look the best to me and the best value. I love gift sets for any occasion but they are definitely a lifesaver at Christmas. Sephora usually has several gift sets at all times, but of course, at Christmas most brands step up their game. Gift sets are a great way to get someone a little bit of a few things. Its perfect for trying new things at a fraction of the original price. 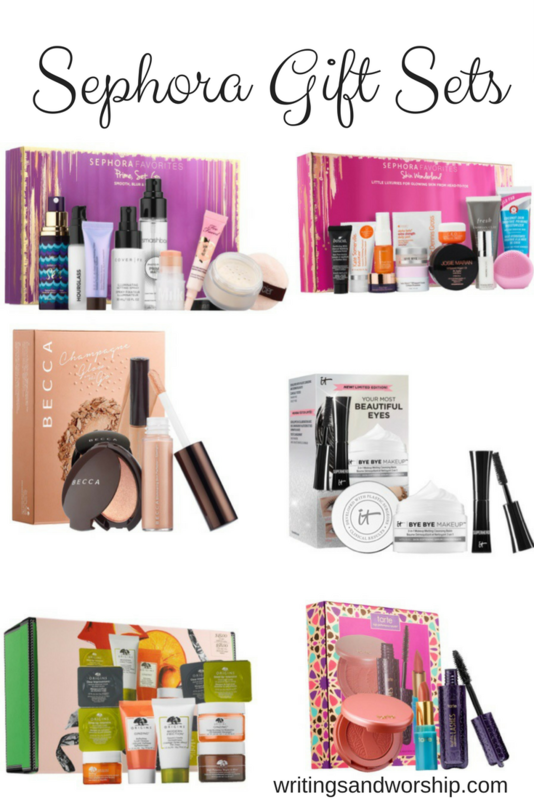 I did include some of my favorite new gift set releases in my beauty gift guide but these are Sephora exclusives and most likely limited edition. These are all different items from the holiday beauty gift set! I also tried to include sets for any budget! 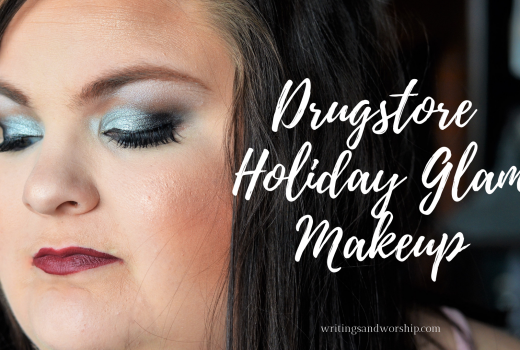 Somethings more affordable and a few “splurge” items! 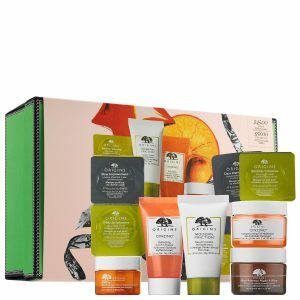 Origins is a brand I really want to try but normally don’t want to spend the amount that their products cost. Once again, I will continue to say, gift sets are a perfect way to try brands that you maybe can’t afford otherwise. Origins is a famous skincare brand that has beautiful packaging. This gift set includes scrubs, overnight masks, renewing cream, moisturizer, and eye cream- perfect for any skincare fan! Primer and setting products are something I’m trying to get into more and more. I have yet to find a primer or a setting spray that I have fallen in love with so far. I would personally love this gift set because it is full of great and recognizable brands like: Smashbox, Too Faced, Tarte, Hourglass, and Laura Mercier. My favorite setting powder from Laura Mercier is included in this gift set, and it is definitely worth the price! This set has primer water, setting spray, setting powder, and more. 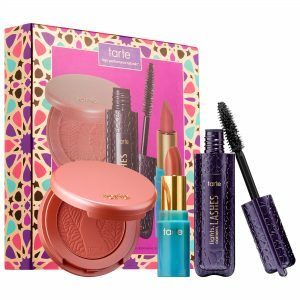 This simple little Tarte gift set is a perfect little something-something for any makeup lover. I love Tarte and their products so I know this would have to be amazing. 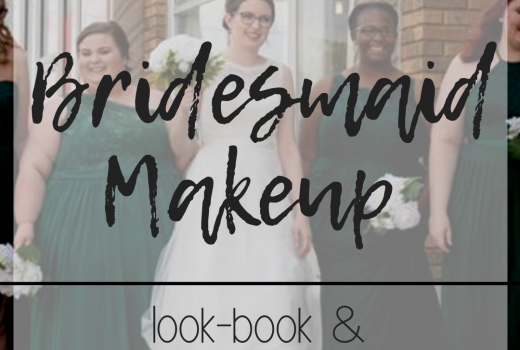 A lipstick, blush, and mascara are included in this set. The mascara that is included is my favorite Tarte mascara to date. I’m sure that this would be a great starter makeup gift for teens too. I love how simple but awesome it is! 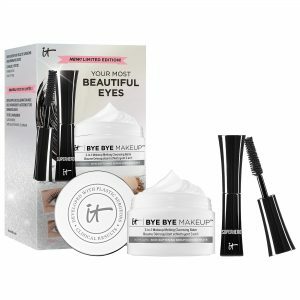 IT Cosmetics is also one of my favorite high end mascara and it is included in this gift set along with a makeup melting cleanser balm. I have heard great things about cleanser balms so I would be eager to give this gift set a try. Just like the Tarte gift set, this would be a great gift for someone who is new to makeup or even makeup lovers! And the angles sang, WOW! I’m in love with this Sephora favorites gift set. It has some of the leading names in skincare. While it’s a little more expensive than the others, its completely worth every penny. I have been “uping” my skincare game lately and I am intrigued by all these awesome brands I have never been able to try. Here is a look at some of the high end brands in this gift set: Kate Somerville, IT Cosmetics, Ole Henriksen, Josie Maran, First Aid Beauty, and a Foreo Luna cleansing device. One of these products in full size alone would probably be more than this whole gift set. This way you get to try many different kinds of skincare to see what is best for you. Some of these items are: primer, exfoliating treatment, eye treatment, peel mask, moisturizers, creams, and masks. I’ve been wanting to try any BECCA highlighters. This little gift set is a highlighter and a liquid highlighter. The set comes in 2 colors and they look perfect for any skin-tones. If you or someone you know loves highlighter, this would be an awesome gift for Christmas! BECCA is mostly known for their impressive highlighters so this would be worth it; and I love the price point. Which of these looks the best to you? I wish I could take them all, how about you? Merry Christmas and happy blogmas day 10 friends!